The President and Chief Professional Officer provides collaborative and strategic leadership to fulfill the organization’s mission of uniting people, organizations and resources to improve lives in Hall County. This position engages the board of directors, volunteers, community partners, key community leaders and staff to achieve the mission. Represents the organization in the community and acts as spokesperson on relevant issues. Understands the dynamics of local, regional and national environments and is committed to working across private, public and corporate sectors to fulfill mission. Builds relationships with local and state governments, Chamber of Commerce, non-profit community, business sector and other United Ways. Oversees development of long-range goals, annual work plans and budgets to assure alignment and progress with strategic objectives. Ensures effective communication with the board of directors, volunteers, staff, and community, including regular reporting on key metrics. Proposes solutions on issues that potentially affect the mission of United Way Hall County. Assures compliance with all board approved policies and procedures, state and federal laws, United Way Worldwide membership requirements, and IRS regulations for 501c(3) organizations. 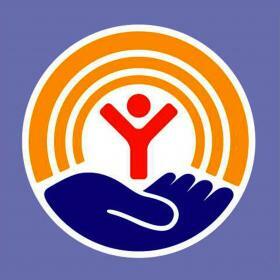 Manage United Way staff to effectively carry out organization goals and mission. Oversee assessment of community needs and identification of appropriate roles in addressing them. Manage the overall fund raising process; ensuring that best practices and donor confidence are maintained. Maintain an objective process for distribution of financial resources in agencies, programs and collaborations that meet board approved objectives. Provide accountability and transparency for the overall operational and fiscal integrity of the organization. Ensure effective and efficient support systems in areas such as information management, communications, staff and volunteer training, and asset management. 5 - 10 years in a management position with supervisory and budget responsibilities. Demonstrated ability or experience in working with non-profit organizations. Excellent team building and collaborative skills. Personal integrity and ethical conduct are a must. Ability to work with volunteers, staff, partners and community at-large in providing leadership, direction and negotiation among diverse groups. Skills in public speaking and written and oral communication. Creative and innovative thinker; open minded to different opinions.